Congratulations to "Brenda R", the winner of KJ's giveaway. Thank you to all who participated! It all starts here! Get to know Katie Walsh and her colleagues in Trove, and then get ready for the second of "The Katie Walsh Mysteries," when the "Legends come to Light." Katie Walsh is an investigative mythologist seeking clues that could lead her into the very distant past and uncover the secrets of the mythic Norland. Alec MacGowan is an archaeologist searching for clues in the recent past in an attempt to bring a murderer to justice. Anonymous lovers five years before, they’re re-united as their worlds collide when they are thrown together to decipher the murdered man’s notes and identify his killer. As the quest unfolds, they are forced to deal with their simmering attraction and hidden secrets. Can they uncover the secret hidden in the murdered man’s notes before the killer finds them? And can they open their hearts to each other before it’s too late? Follow Katie and Alec as they search for clues in their race to uncover secrets from the long past and their past while staying out of the killer’s cross-hairs. 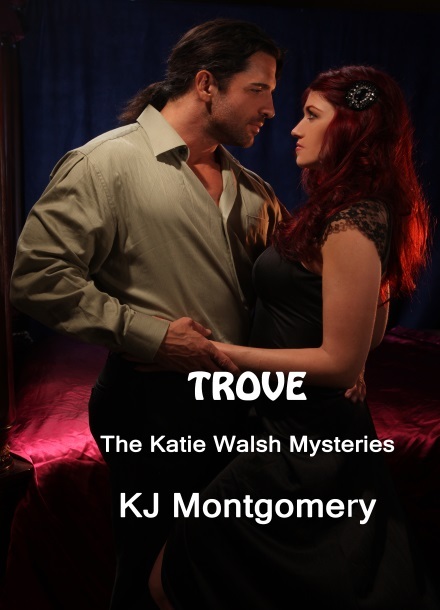 My series, The Katie Walsh Mysteries, starts with the novel, Trove. Trove introduces the reader to the characters that will be featured throughout the series. In this book, we meet the heroine, Katie Walsh and the hero, Alec MacGowan. Five years ago, they hooked up for one night, keeping it completely anonymous by not exchanging names or any personal information. Jump forward to the present day, the two are re-united in an effort to bring a murderer out of the shadows. But there’s much more going on than just the search for the murderer. Katie is an investigative mythologist searching for physical proof that there were survivors of the destruction of Atlantis and that they established settlements across the globe. She believes the ancient Celtic and Norse myths were written about, and refer to them. She is seeking to peel back the legends to get to the true, original meanings. In Trove, we journey with her and Alec as their seemingly unrelated quests collide and send them on a journey to the Isle of Skye. Here, they each will find answers, but will lead to more questions. 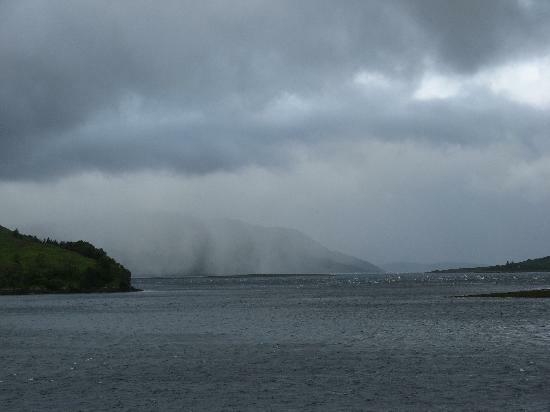 In the second book in the series, currently titled “Harbinger” (though this is subject to change), they will unravel the Celtic legend of the Green Man and mistakenly unleash the Atlanteans and discover that they are not the romanticized people that we’ve made them out to be. In “Harbinger,” Alec and Katie’s love will be tested by outside forces. The question will be, are they strong enough to survive the challenges or will the danger prove too much for them? Trove is available in Kindle format and print. Look for other versions in mid-June 2013. KJ Montgomery will be giving away a signed print version of Trove. Giveaway ends 11:59pm EST April 14th. Please supply your email in the post. You may use spaces or full text for security. (ex. jsmith at gmail dot com) If you do not wish to supply your email, or have trouble posting, please email maureen@justromanticsuspense.com with a subject title of JRS GIVEAWAY to be entered in the current giveaway. US and CANADA postal addresses only. Wow!...this series sounds great. I've always loved romantic mysteries surrounded in legend, with strong characters caught up in their search for the truth. Would love to win this one. Hi Brenda, I find legends puzzling, but definitely fascinating! I think this sounds like the start of an exciting series. Learning about Celtic and Norse myths while enjoying romance and mysteries is going to be fun! Hi Karen, thanks for dropping by. Celtic and Nordic myths are a rich part of the culture of Britain and I look forward to offering my interpretation of them. I hope not only to entertain readers but get them thinking that maybe everything they've been taught to believe may not be the truth. TROVE is a wonderful, WONDERFUL ... did I say WONDERFUL... Oh yeah I did. Anyway you don't want to miss out on this one. I had the opportunity to read this wonderful adventure and am waiting on bated breath for the next installment of this great story. I loved Trove! It's filled with adventure, romance, and mystery. Can't wait for book 2. Debbie glad you stopped by. Good Luck, but please leave your email with JRS in case you win. Thanks for stopping by. I hope you'll follow my series. Maxine, Skye is my ancestral home and hope to "return" in the next few years. I hope you enjoy my series. The series sounds amazing! I love the idea of books that touch on myth. The occupations you've given your hero and heroine are enthralling. This will definitely be on my TBR list! I want to thank Maureen Miller for offering me this opportunity to meet new friends. I've always had a weakness for Nordic myths. Are you following the Vikings series on the History Channel?